If you haven’t read this interview with Hjeron O’Sidhe yet in our Festival Guide – here’s your chance to hear an enchanting story that will be manifesting in your escapade this summer – Hjeron is the founder of Mythmaker, a theatrical, cultural transformational performance experience that will be coming to life at a Festival near you! FF – Hjeron, Tell us about Mythmaker! H –Mythmaker was created as a cultural transformation device, the idea is to effect culture in a positive way by reclaiming a lot of our old knowledge, old ways and old stories, in a modern context that can be digested and understood by the culture at large. FF – How did Mythmaker come to be? ….read the whole interview at www.festivalfire.com/mythmaker…. that will be manifesting in your escapade this summer – Hjeron is the founder of Mythmaker, a theatrical, cultural transformational performance experience that will be appearing at a Festival near you! FF – How did Mythmaker come to be? H – I’ve been doing Mythmaker for about 12 years now. I grew up interested in mythology, metaphysics and things outside of the box. I was always interested in that even as a kid. In my teenage years I started studying with a group of people in ancient Celtic lineage. I’d heard about Paganism and European ways of attuning with the Earth that had happened for thousands of years and for me, it was pretty amazing to get involved with a group that had a lineage that was really doing it. It was very different than the Hollywood movies I’d seen. I studied with them and worked with traditional medicine ways of Native North and South America, with a little bit of a background in mythology, spirituality and storytelling. Then I came out to British Columbia, from Ontario, looking for ways to level up what I was learning. There were a lot of people interested in attuning with the Earth, playing drums around a fire under the full moon, but very few actually knew techniques in a magical sense. That really surprised me. Hj – Magical meaning knowing how to attune with natural energies, the sun, the moon, the tides, the seasons. There is a pattern of energy there that’s beyond scientific description, yet it’s been tapped in to as far as humans have been aware, so a long, long time…and that’s what I studied in Ontario. I came out to BC to study more, and get deeper into it, then realized that the people out here were feeling the energy of the cycles of the moon and sun and the earth, but didn’t really know how to tap into it. I was pretty young, my real early twenties, and I started going to the Rainbow Gatherings where I saw tons and tons of people coming into the woods, sitting around a fire and appreciating nature, but again, not knowing how to tap into it on certain magical and spiritual levels. So I started doing rituals at Rainbow Gatherings where we’d get anywhere from 60 to 600 people doing traditional shamanic full moon type of ceremony. I realized that it was the massive amount of nature on the west coast and the experience of being in a teacher role, (when I had been looking for a student role) that taught me a lot. I traveled to Rainbow Gatherings for a couple years, through the US and Canada, and then landed in the Valhalla Mountains of BC, which is about 8 hours inland from the coast. A gorgeous alternative community lives there, people raising children, growing gardens in the mountains, living in tune with nature and with community. That’s where I settled. There were some local summer solstice gatherings going on there that a friend was putting on and he heard that I had a knack for large ceremony, so we started doing ceremonies at his gatherings. The real birthing moment of Mythmaker, was, after several years of doing them, at one of these Summer Solstice ceremonies. It was just beautiful, 500 people up in a field. We had a giant wicker burning man, we had a young boy and young girl that were the new king and queen of summer, we had a beautiful ritual planned out, people in the four directions doing dance performances and fire dancing, poetry and things like that. Part of the plan was to clear the whole space, one of the things I learned in my earlier days, so that the energy is clear when you come in. So we moved 500 people out of this field, to come back in and go through a wicker gateway to be saged and smudged and didgeridoo’d. The moment that really stood out was just before the field was totally clear. There was a guy, probably in his mid thirties, with his young daughter, probably six to eight years old, and he looked at me and he was very apprehensive. He said, “What’s going on, what are you doing?” I said, “We’re all leaving the field so we can clear the space and do a Summer Solstice ceremony”. He said,”I didn’t come here for this” and he seemed very frightened by the whole idea. I was nice and gentle and said, “that’s what’s going on, that’s what the poster said, that’s the whole point of this gathering, and that’s what we’re doing here. You’re more than welcome to come back in, it’s totally gentle, with only good intentions, but if not, that’s what’s happening here.” I don’t know if he ever came back in after he left or not, but that moment stuck with me, his fear around the idea of ritual and of doing ceremony in that way. We did the ceremony and it was beautiful and it got rave reviews and everyone loved it. But that moment stuck with me and I realized I wanted to be doing things in the world. Everyone there was already attuning with the cycles of nature on their own accord. What hit me there was that there’s another aspect of culture that’s unaware and kind of afraid, that needs to be reached out to, I feel a lot of the harm to the planet comes from that unawareness. That was the birthing point of Mythmaker, realizing that theater is beautiful, while making ceremony, story and ritual an acceptable part of culture. The ancient bards had been doing that for thousands of years, they knew it way, way back when. I went for a more magician, shamanic aspect, more of a bardic aspect. Music, art, poetry, dance are all forms of magic, forms of tuning into things unseen and expressing them. Mythmaker was a step into that bardic journey. From there we did more theater pieces, based around ancient stories, with educational, environmental, spiritual ideas in them and a sense of story, and it opened up to a much broader community. FF – And why at festivals? Hj – Why festivals, and why transformational festivals is a good question. It’s a real breeding ground of where transformation is happening in our culture right now. We started doing Mythmaker with the old ways we call high holidays, or the pivotal points of the year. Mythmaker started doing things on Summer Solstice, Winter Solstice, Equinoxes and the different Harvest Festivals. This is when we would do our story telling. A lot of the intentionally transformational festivals that are happening, especially on the west coast, are based off of that idea: a large amount of people gathering that have a resonance together and somewhere to share their knowledge, wisdom, skills, experience and dance and make magic together, in whatever organized or ambient way that that happens. It was a comfortable, natural place for Mythmaker to form and grow and be in a place where people were open, wanting to hear the stories, and to have cathartic experiences through symbols and storytelling. That was something that we provided the festival culture. I remember early in the coming out of Mythmaker in the festival circuit. At the time we were coming from Canada, to California and Oregon and I was looking for my mentors. I was thinking, “Ok, where are the old ones that have done this, to follow in their footsteps, and to figure out how to do this from?” And Michael Manahan, along with Isis and Osiris, had just started the Oracle gatherings. Here was somebody else who was doing it. I had a conversation with Michael, saying, “Where are our elders? Where are the ones that have been doing this sacred theater before us?” And he turned to me and said, “We’re it, my friend! As far as I know, there hasn’t been a lot of people doing it in this way before us.” From what I understood, there was performance art happening, dance, fire, theater, but with real ceremonial intention and story and the idea of transformation behind it, as far as I know, it was Mythmaker in Canada, the Oracle Gatherings in the US and a friend, Oriel, in Australia. It was basically the three groups of us that I’m aware of. My beginning at festivals was meeting Michael Manahan and also connecting with Chris Deckker of Earthdance, a phenomenal pillar in the transformational festival world. There are festivals that have transformational aspects, and there are festivals that are intentionally transformational. [Earthdance Global – 300 festivals worldwide on the same day with a synchronized 4 minute Prayer for Peace] In my understanding, Earthdance is one of the longer running ones of those. FF – When we’re talking about transformation as a culture, how can we talk about that transformation? Hj – A lot of culture is coming from an individualistic consumerism. 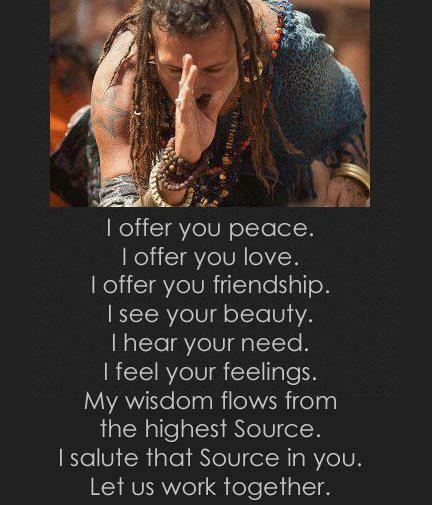 Its “I am all I need” illusions of separation from nature and natural cycles and the disrespect and unawareness of community, of interdependence. The idea of independence that our culture has is very unhealthy and unrealistic. No one is independent. Everybody would die if it was only them. Independence is the fear and moving away from co-dependence. The idea of interdependence is that we are all sovereign, energetic beings that have our own strengths, but at the same time, we’re also relying on a community of people to be in an empowered space. The idea of transformation is going from a consumer, a very separate consciousness in culture to a new way of tapping in to old ways of being. And I mean really old ways of being, where we are part of the earth, we are part of each other, this is all one ecosystem and its all linked together. The more we are aware of that and the way our choices and actions affect our friends, our community, our environment…just a basic understanding of that is a huge transformation. You could have a culture that’s based on the idea that everything is interconnected, and what we do affects all of it, as opposed to everything is separate and what I do only affects myself. That very simple aspect of consciousness is one of the things that transformational festivals and performance theater groups in the transformational aspect are trying to get across through story, dance and art. FF – What’s in store for 2013? Hj – Mythmaker has gone through several incarnations of who the group is. At this point in time Mythmaker has become less of an adventuring band of elves and hobbits and more, a small central core with a network of partners. 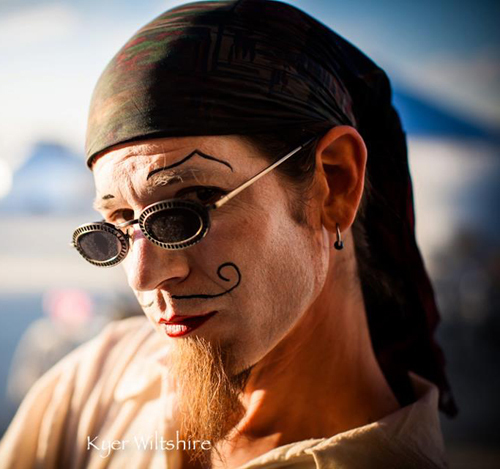 FF – Last year at Faerieworlds, you put together a performance with people who were already at the festival. Hj – Yes. That’s one of the ways Mythmaker has evolved. In its beginning when it first formed, it was more of an adventuring band of 8-13 people on a bus for 4 months together. That’s who we were and that’s what we did. A rotation of people at some times, with a solid three month summer tour crew. But in the last 2-3 years, we’ve shifted into a smaller core crew that we travel with and then a network of all the people who have worked with us in the past, people in this festival culture that I know who are honed and skilled in their arts. My role has become more of a weaver of those folks into creating spontaneous story. FF – That’s a sign of how we’re getting to know each other, and how people are maturing and developing their skills and talents. It’s a sign of the growing of the community. That you can walk in and know people who have fire dancing or theatrical or musical or costuming skills that you can draw on, and your relationships are already built. Hj – The 2008 Faerieworlds show is a great example of that. I didn’t know that we were going to do a show until the night before. There was an act that couldn’t make it and Emilio Miller-Lopez, one of the directors of Faerieworlds, came to me and asked if we could do a show the next night. I grabbed people I knew I could count on, formed a band, created a choreography and then went on stage in front of 3500 people with a 27 person cast that met for the first time at noon the day before. I was about to step on stage, with musicians from three bands I had merged together, and I stepped onto that stage having no idea what I was going to say as a storyteller, just knowing the basic outline of a story. It was an interesting task, the faith to just get out of the way and let the story flow through me. It turned out better than some of our shows we’d spent 4, 6, 8 months preparing and learning the lines for. Last year’s show was an amazing example of the evolution of Mythmaker because it was a crew of people who have worked together over years, Patience Yanderling and Hojjie Firemaker from the Wickerman, Ben and Jarod of Trillian Green, Malachi and Noah, some of the musicians that over the years we’ve worked with. I know that I can just pull them up on stage and they’re going to make a sound track that’s amazing. They’re going to feel it and its going to happen. FF- So far what are you planning for 2013? 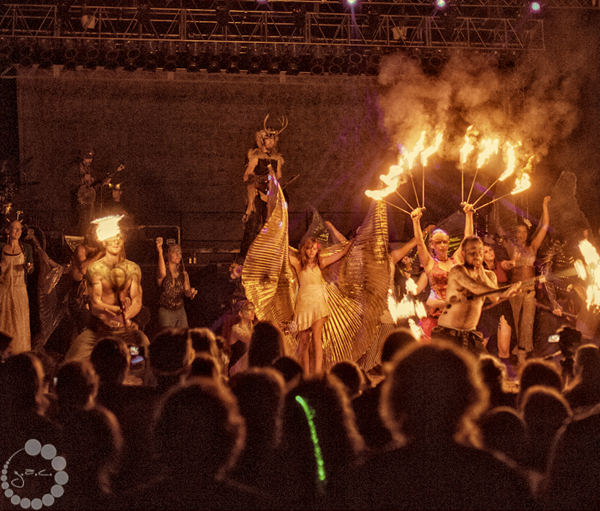 Hj – We don’t have our bookings solid yet for this summer, but Faerieworlds is a definite, Burning Man is a definite, and the Vancouver Island Music Festival. There is a whole network of festivals we are part of but we’re still in the midst of bookings for that…..watch our website for news.